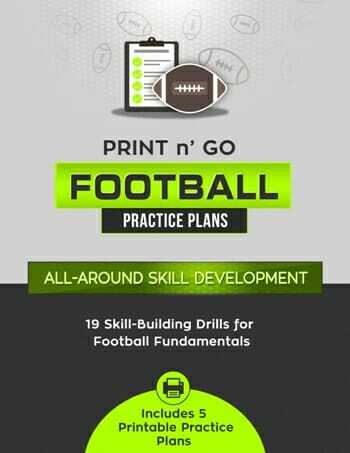 Once you have covered stance, back pedaling and re-tracing techniques, and general principles about breaking on the football, you are ready to implement technique drills that teach man-to-man coverage. 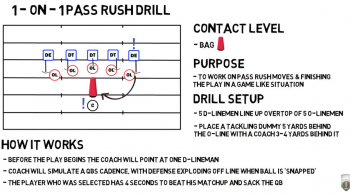 Press man-to-man is useful for when you want to get into close quarters and line up very close on the offensive receiver, trying to disrupt his route. We call this a press coverage. Today, we are demonstrating one of the most basic drills we do to start out teaching press man-to-man technique. A common mistake is when a receiver releases outside away from the defensive player, which causes a problem if the defensive player misses the jam, which results in the defensive players shoulders being turned and the receiver gets a smooth transition and escapes the defensive back. This particular drill is useful for all levels, as it teaches the corners and the safety’s a simple jamming technique when playing the press-man-to-man. 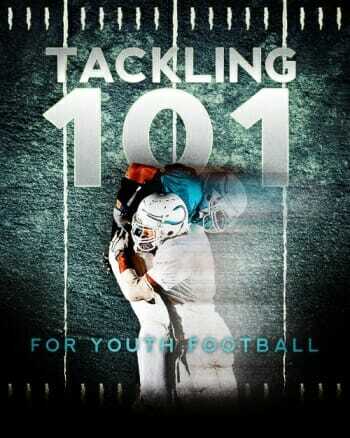 It’s a subtle drill that allows players of any age to practice the simple concepts of using their hands in close quarters and understanding leverage, because you want to re-route the receivers in any way that you can. There are a lot of ways to defend the pass , but the best way is to affect the receivers timing, and you do that by using your hands. This drill teaches to read the shoulders of the release in order to protect an inside release, as well as opening the hips and transitioning with the receiver, forcing the receiver to re-route – hopefully further away from the ball. Have 3 players set as the defensive backs on one side of the line, with 3 players across from them who will simulate receivers. On the GO command, the receivers will move their arms to simulate running, and then a move to the right. The defensive backs then cross-hand jam. 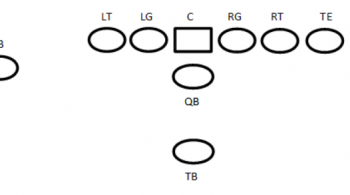 There are many reasons to do this: When the receiver releases outside, the defensive player is going to jam with his inside arm, as the defensive player looks for the breast plate and focuses on getting some shoulder pad when he jams, which allows him to ride the receiver outside. 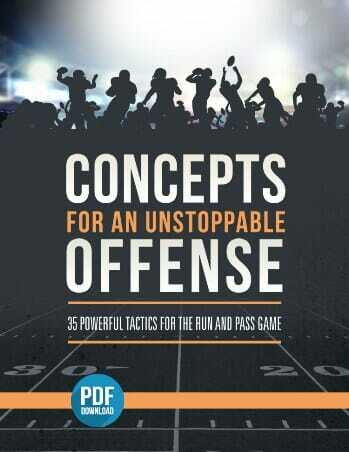 This also protects the defensive players’ inside, and prevents the receivers release inside of the defensive player. 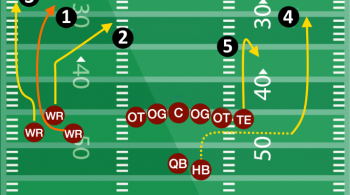 You don’t want to let the receiver get inside positioning in a man-to-man technique. 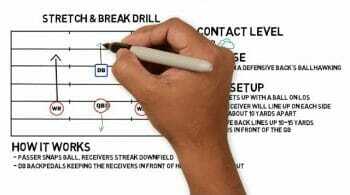 You want to force the receiver away from the ball. For more great drills, tips, and techniques for defensive backs, be sure to Become a Fan on Facebook! You can also Follow Me on Twitter and Hangout with Us on Google+!